The northern highlands of Nicaragua have been found to be an important wintering area for more than 25 species of neotropical migratory birds. In particular, this area is important for the golden-winged warbler and has a density approximately twice as high as at any other site surveyed as part of the 7-country NFWF Golden-winged Warbler project. 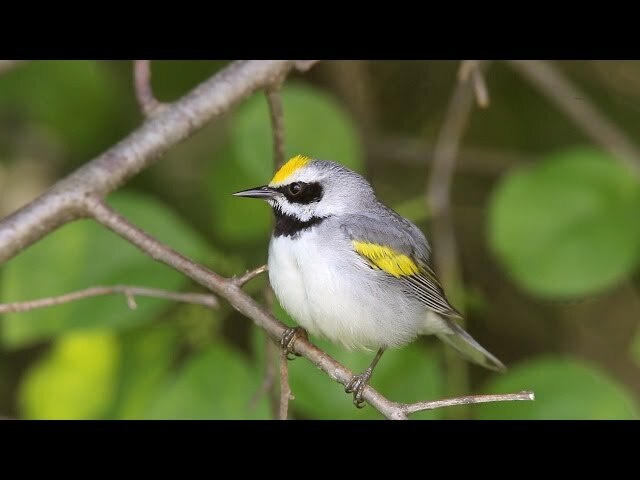 The golden-winged warbler (GWWA) is a migratory bird species that has experienced once of the most rapid population declines among all migratory birds in the Western Hemisphere, a loss of nearly 40% since 1960. The American Bird Conservancy (ABC) helped to develop the wintering ground conservation plan for this species and has been working to conserve the warbler since 2007. In Nicaragua, ABC has worked with the Red de Reservas Silvestres Privadas and their member landowners, in particular in the El Jaguar Reserve. Other organizations that have been involved in the project include Indiana University of Pennsylvania (IUP), Audubon North Carolina, North Carolina Museum of Natural Sciences, and El Centro de Entendimiento con la Naturaleza (CEN). Land use conversion from primary forest to agriculture, including sun coffee and potatoes, is reducing habitat available for migratory bird species in the Jinotega region, including the GWWA, and reduces the number of individuals that the area can support due to decreased food and cover. Logging and cattle production further limit wildlife habitat. ABC is working to protect existing forest and increase forest connectivity in this region through the promotion of reforestation with native species for fence rows, and water source protection and to encourage shade-coffee production. ABC has worked with over 150 landowners in the last past 5 years, and planted over 200,000 trees (150,000 since 2014). As identified in the GWWA Wintering Grounds Conservation Plan, the conservation goals for the focal areas that we are working in are to establish protections for 10% of forest cover, restore 10% of existing pasture, and convert 10% of all sun coffee to shade coffee. Additionally, there is a goal to reduce the current deforestation rate by 50% over the next 5 years. The long-term goal of this project is to secure wintering habitat for the golden-winged warbler and wood thrush in Nicaragua. Our long term economic model is to develop sufficient shade coffee production to ensure economic viability of the production methodology for the landowner. This project is being conducted in conjunction with significant conservation efforts being led by ABC on the GWWA breeding grounds in the Great Lakes and Appalachia regions of the US, to ensure conservation of the complete annual life cycle of this species. ABC has other efforts taking place on the wintering grounds of this species in Honduras and Colombia.